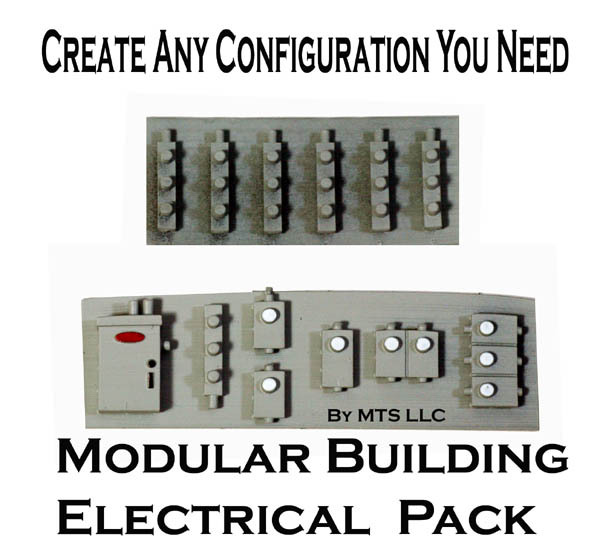 to create any Configuration you need...completely modular for easy use ! 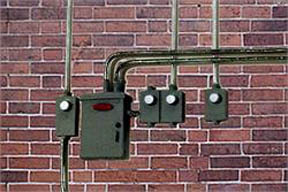 Also see our Building Gas Meter Details to bring Fuel Supply to your Structures for more Realism !! 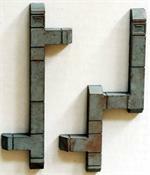 Variety Pack of Factory Style or Industry Style Rooftop Vents for O Scale Detailing. They Come all Rusted up to look old for you as well ! Ready to detail your O Scale Building's See all of our New Roof Vent Selection just added to our Line! 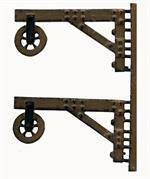 2 Pack of Building Wall Hoists in O Scale. They come finished and ready to mount on your Structure walls. Very nicely detailed down to the bolts !